Published on 1 April 2007. Today, AQA 63336 (my part-time employers) are launching a brand new concept in mobile phones, with the aPhone (click here for the Press release). This incredible device, costing only £1 and compatible with all mobile networks, can answer any question posed. In tests, it correctly answered over 5 million questions, and is being compared to the ‘Guide’ in the Hitchikers Guide to the Galaxy. 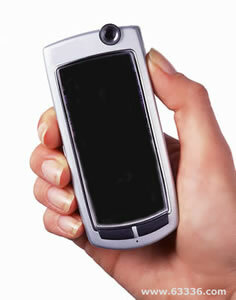 Customers can test the mobile’s answering capabilities through this page on the AQA website. This represents a huge leap forward in mobile technology, and at an RRP of just £1, it’s likely to take the mobile world by storm. So make sure you get down to your local mobile phone retailer today, because this amazing new phone is sure to sell out fast. This 1,091st post was filed under: News and Comment, Technology. Comment posted at 09:22 on 1st April 2007. Had me and the band fooled for a moment,then we looked at the date. April 1st. Nice one !!! Keep a look out for the band ,they are going places. Comment posted at 12:15 on 1st April 2007. Trackback received at 01:42 on 2nd April 2007. Comment posted at 08:23 on 17th August 2008. There is absolutely no truth in the rumour that I am a piss artiste. Comment posted at 10:08 on 12th December 2008.